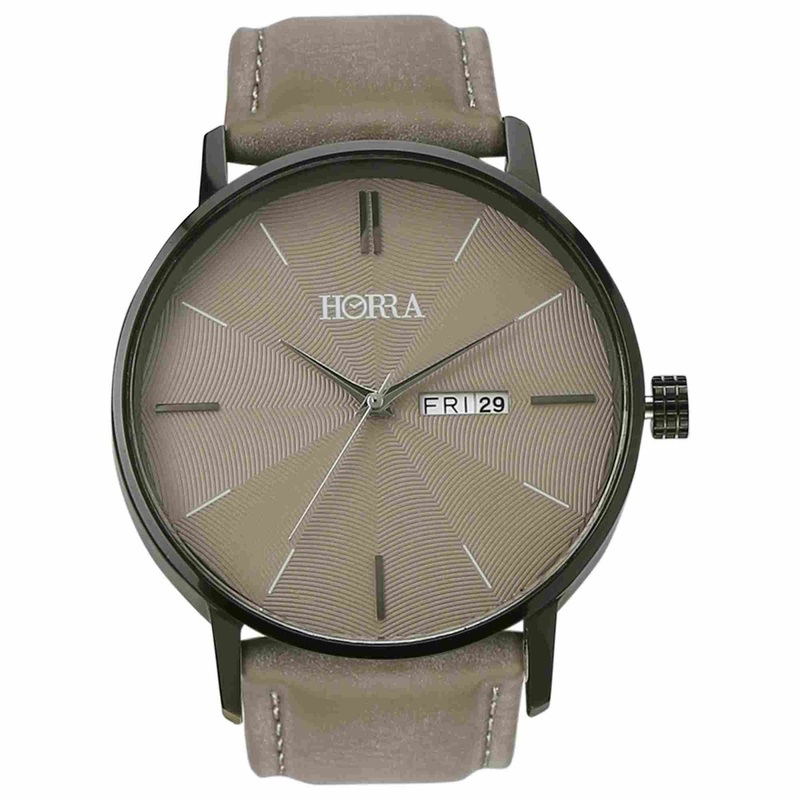 STARFRIDAY : The “Classik” Watch from Horra Luxury; great for the guys on the go! The “Classik” Watch from Horra Luxury; great for the guys on the go! The epitome of style, these brass-dial watches with a trendy textured edge, is the perfect accessory for the modern young go-getter as it will aid your need for punctuality. Your busy life with meetings to attend and reports to write, makes the minutes fly past much too soon! This Classic timepiece blends an edgy attitude with a smart look. The attractive dial and comfortable leather straps give a refreshing youthful look to the modern man of style. Enjoy this smart neo-classical watch with denims and tees, or office formals. The stainless steel deal provides a great contrast to the dial. The soft yet strong leather straps are part of the “Classik’s” charm. Let Horra’s excellent watches synchronize your schedule and enhance your style quotient! This watch is a must-have to keep you ahead and up-to-date all the time. Horra makes its mark with trendy new styles, at affordable prices, with a guarantee of great quality. Our watches make much-wanted gifts for your friends and family: so go ahead and give them “happy times”! Range starting from 2500/- onwards.